Bringing Up Bébé meets Last Child in the Woods in this “fascinating exploration of the importance of the outdoors to childhood development” (Kirkus Reviews) from a Swedish-American mother who sets out to discover if the nature-centric parenting philosophy of her native Scandinavia holds the key to healthier, happier lives for her American children. Could the Scandinavian philosophy of “There’s no such thing as bad weather, only bad clothes” hold the key to happier, healthier lives for American children? When Swedish-born Linda Åkeson McGurk moved to Indiana, she quickly learned that the nature-centric parenting philosophies of her native Scandinavia were not the norm. In Sweden, children play outdoors year-round, regardless of the weather, and letting babies nap outside in freezing temperatures is common and recommended by physicians. Preschoolers spend their days climbing trees, catching frogs, and learning to compost, and environmental education is a key part of the public-school curriculum. In the US, McGurk found the playgrounds deserted, and preschoolers were getting drilled on academics with little time for free play in nature. And when a swimming outing at a nearby creek ended with a fine from a park officer, McGurk realized that the parenting philosophies of her native country and her adopted homeland were worlds apart. Struggling to decide what was best for her family, McGurk embarked on a six-month journey to Sweden with her two daughters to see how their lives would change in a place where spending time in nature is considered essential to a good childhood. Insightful and lively, There’s No Such Thing as Bad Weather is a fascinating personal narrative that illustrates how Scandinavian culture could hold the key to raising healthy, resilient, and confident children in America. "The author expertly combines personal memories of her childhood and that of her children with scientific data and research to show the significant disparities in the way children interact with nature in [the U.S. and Sweden]... A fascinating exploration of the importance of the outdoors to childhood development." "What an enjoyable romp through all the pleasures, benefits, and joy that free play and nature offer! Swedish-born McGurk guides the reader through all the delights that a varied outdoor life can afford. The book is packed with personal anecdotes and scientific studies, which provide the reader with nuanced insights into the potentials of open-air life in the most beautiful way. Everyone all over the world can gain something from the valuable wisdom found in this book. As a strong supporter of free play and its importance for children's well-being, I highly recommend this book." "Children need fresh air, ample time to play, and freedom to take risks—something other cultures sometimes seem to understand far better than we do. 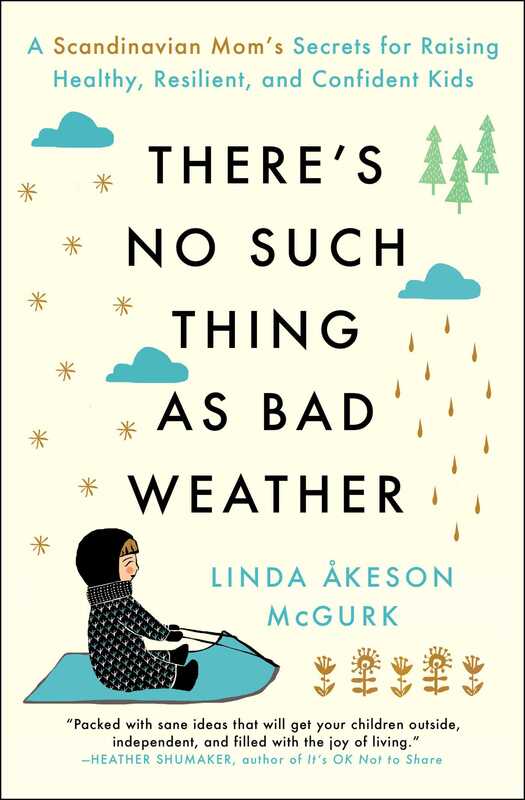 In There's No Such Thing as Bad Weather, Linda Akeson McGurk takes us inside the fascinating world of Scandinavian parenting with its refreshing and essential perspective on childhood. This is a heartfelt manifesto on the importance of the sort of unhurried, nature-rich childhood that every American child deserves." "If There’s No Such Thing as Bad Weather doesn’t make you want to move to Scandinavia, it will at least make you pledge to bring more Scandinavian habits into your life. With abundant warmth, humor, and important research, Linda Akeson McGurk makes the case for getting your family out into nature, no matter the season, and shares invaluable tips for enjoying the benefits of outdoor play, even in the land of mall-walking, videogames, and relentless academic pressure." 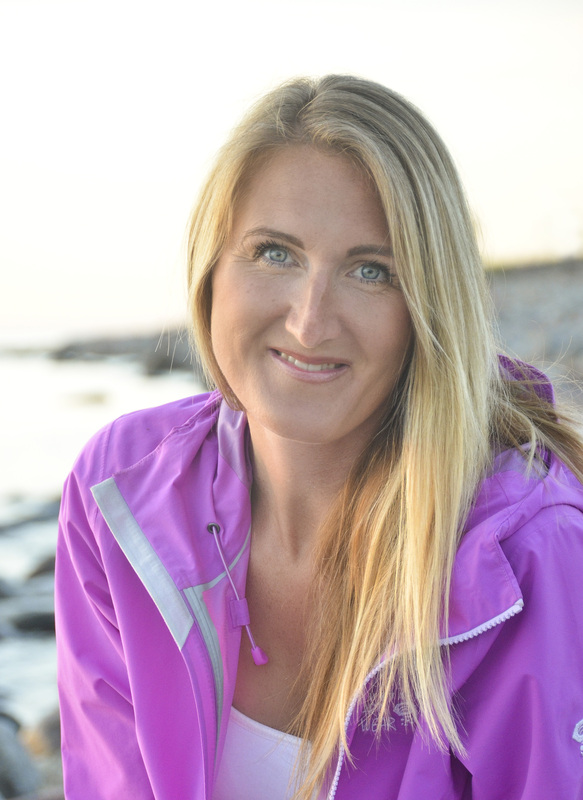 "Linda McGurk's compelling book There’s No Such Thing as Bad Weather compares the Swedish and U.S. historical and current cultural differences in beliefs and practices regarding young children's exposure to nature. Linda's upbringing in Sweden meant that she had an enormous amount of outdoor time as a child, much like those of us who grew up in the U.S. prior to 1980. Unfortunately, within the last 30-40 years, childhood in the U.S. no longer automatically includes extended outdoor free play. Like Linda, many in the early childhood education field are worried about the well-documented negative consequences from this lack of outdoor time. Besides the obvious physical benefits of spending time in nature, there are proven mental health benefits as well. Additionally, when children bond with nature at an early age, they develop empathetic stewardship qualities which compel them to seek to protect the environment. It is heartening to know that there are still countries like Sweden which actively advocate and culturally support children's right to extended outdoor time. Hopefully we can begin to incorporate some of Sweden's friluftsliv—a love of open air life—into our cultural identity here in the U.S."